The primary goal of the CTITF is to maximize each entity’s comparative advantage by delivering as one to help Member States implement the four pillars of the United Nations Global Counter-Terrorism Strategy. The Task Force supports Member States in implementing the Strategy through different projects, collectively undertaken by its entities. In the past year, the Office has doubled the number of projects. At the global level, projects were developed on freezing terrorists’ financial assets, building human rights capacities and countering terrorism, and supporting victims of terrorism through a dedicated UN web portal, among others. At the regional level, the Office has undertaken projects that are assisting Central Asian, Central African, and the Southern African Development Community (SADC) countries to develop and implement regional counter-terrorism strategies. At the national level, efforts include the development of “quick impact projects” as well as medium and long-term comprehensive capacity building initiatives through the Integrated Assistance for Counter-Terrorism (I-ACT) platform. In this context, UNCCT has brought renewed vigour to common efforts supporting the implementation of the Global Strategy as a key new resource to deliver capacity building assistance. 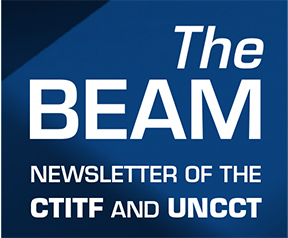 Now into its third programmatic year, the UNCCT has initiated the implementation of 37 counter-terrorism projects around the world covering all four pillars of the Strategy including a global project to assist Member States in better understanding and responding to the Foreign Terrorist Fighters (FTFs) threat. In order to promote transparency among UN agencies, ensure more rational allocation of resources to counter-terrorism projects and avoid overlaps and duplication, the CTITF Office developed the CTITF matrix of projects. 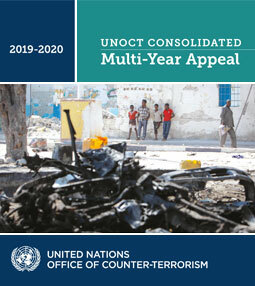 The matrix provides a snapshot of the range and breadth of counter-terrorism-related assistance of the United Nations and is hoped to facilitate an efficient and balanced provision of capacity-building assistance across the four pillars of the Strategy. The global reach of these projects, covering diverse sub-regions such as West Africa, South Asia, Eastern Europe and the Middle East, demonstrates the resourcefulness of UN entities and the opportunities available for pooling resources and synergies. As such, it serves as a valuable source of information for programming, monitoring and evaluating projects. The CTITF Matrix of projects is the Attachment 1 to the Report of the Secretary-General on Activities of the United Nations system in implementing the United Nations Global Counter-Terrorism Strategy (A/68/841).